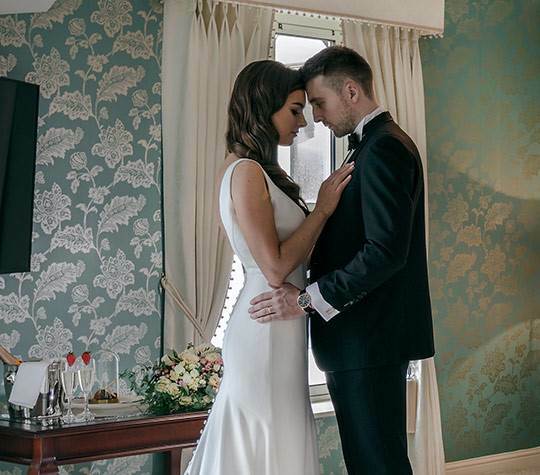 Why is the Landmark Hotel the most popular award winning wedding venue, in Co Leitrim? The exceptional service, pure and simple. That is what our wedding couples keep telling us. Of course, we have all the rest covered too – the divine food, the grand ballroom or the intimate restaurant setting, the picturesque location on the banks of the Shannon and the extra touches that make a wedding special. But it is our wedding team that makes us what we are. They will meet you when you arrive to look around the hotel and they are by your side the whole way through the planning stages and the day itself. Nothing is too much trouble, nothing is a fuss, and everything is beautifully executed, as you would wish for.